In the event of an emergency or accident, making the correct decisions at the right moment can make the difference between life and death. 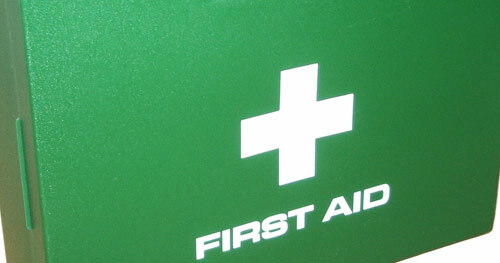 As such it is vital that all workplaces have people in their workforce with first aid skills. In some parts of Ireland, it can take an extremely long time for an ambulance to arrive so it becomes the role of someone who possesses first aid skills to administer help to an injured or sick person until aid arrives. From a continuous professional development (CPD) perspective, first aid and healthcare courses help individuals to develop their professional soft skills as well as useful and necessary practical skills. In turn, the individual will feel capable of dealing with crisis situations and develop self-confidence. Given the nature of first aid and healthcare skills, professionals engaging in this type of CPD often describe the experience as improving learning capacity becoming more proactive and responsive rather than passive and reactive. This kind of consciousness is highly desirable in the workplace in day to day business activities with the bonus of alternative practical skills in an emergency. This can lead to greater responsibility and recognition by employers. Some of the procedures covered by CPD first aid training include handling cases of heart attack, shock, minor injuries, external bleeding and choking. The courses often include defibrillator training and how to evaluate risk and assess an emergency scenario. Most first aid and healthcare CPD courses have completion documentation so participants on the courses can record their training. First aid can save lives. It is a relatively simple skill but can have a phenomenal impact. No special skills are required to undertake a basic course of this type and first aid courses are suitable for anyone wishing to progress their CPD and who want to learn first aid. The first aid courses are often delivered online which means there is no practical hands on practice. This means advice from a medical professional is necessary before the first aider acts in an emergency. Other first aid courses hold practical sessions with hands on participation and these courses leave the learner with the practical skills to cope in an emergency in case of injury or accident. Further CPD courses in health care and first aid are not obligatory for anyone who is applying first aid skills informally, but there exists a wealth of health care courses that can further help with CPD and increase knowledge. It is even possible a new career path may be forged from attendance at these courses. Popular health care CPD courses are those specifically for the work place including basic first aid & manual handling to prevent injury. These can range from one day to three days and focus on the type of incidents that are common in office or factory environments.